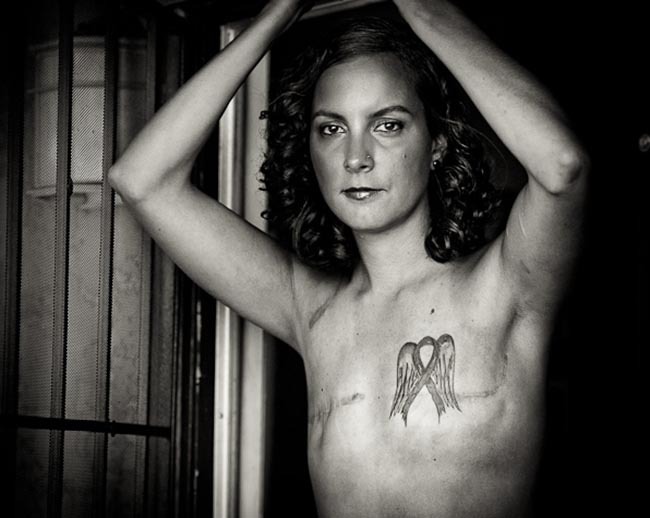 Photographer David Jay has been photographing young breast cancer survivors for five years since his girlfriend’s twin sister was diagnosed with the disease in her late 20s. 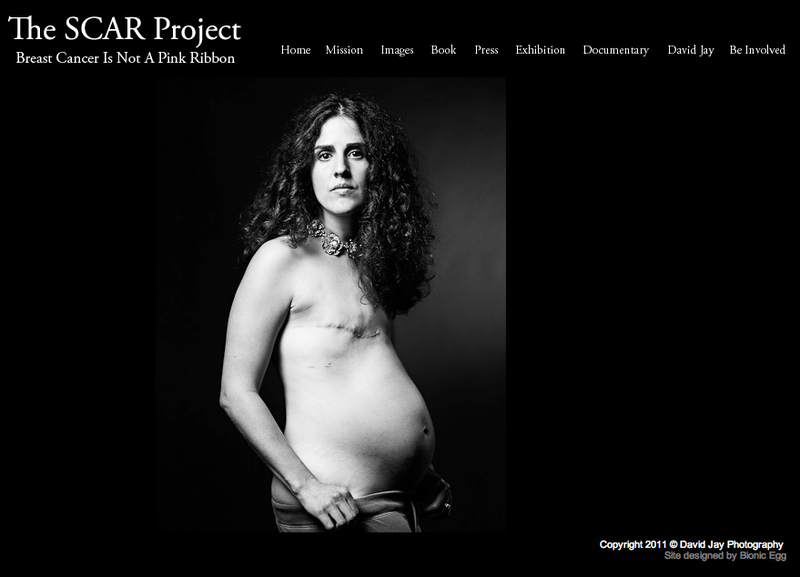 The Scar Project (Surviving Cancer. Absolute Reality), is designed to raise awareness that breast cancer can ravage young women as well as old. The project is online at thescarproject.org, is , along with a travelling exhibition of 30 large scale photographs of survivors between the ages of 18 and 35. One photo in the exhibition shows a woman revealing her pregnant belly protruding beneath a jagged scar where her right breast used to be. Another survivor who had a double mastectomy raises her arms above her head, revealing a winged pink ribbon tattoo on the right side of her chest.